Any tips would be greatly appreciated, I'm surprised I've never caught one by accident before. They must not be too keen on bass baits lol. The time of year (season) and where on the lake the walleye may be feeding or holdings up. Locating them is the most important step. Then the proper tactic to make sure your presentation is at the right depth where they are feeding or holding that reaches the fish. Live bait is always good, but lures will outfish live bait in many circumstances because you can get reaction hits and cover more water. Eratic retrieve is key. Your fishing line is no more than 10lb test. Be quiet, especially bangs in the boat like dropping the net on the floor, footsteps, starting the motor or driving over them. Talking is OK at a moderate level. Oh, walleye like bass baits. Some of my biggest have come on spinnerbaits actually while targeting shallow LMB. Not sure where you are fishing, but hit the channels and fish the weed edge. I use a Texas rigged craw or creature on a 3/8 bullet weight and go looking for smallmouth and catch walleye too in the same spots. Allows me to fish the bottom and work the weeds without hang ups. Walleye love the creatures and craws especially. Here is one from last week. This one was caught on a 6" creature. I was just like you, had a tough go with Walleye. I trolled for hours and hours with nothing different lures and baits. Take a spoon with a worm, and drift off bottom. Give it a shot. And you have to be near the weeds! Like in them! I catch most of my walleye on bucktail jigs, ripping them thru the weeds and edges, caught my PB this summer. 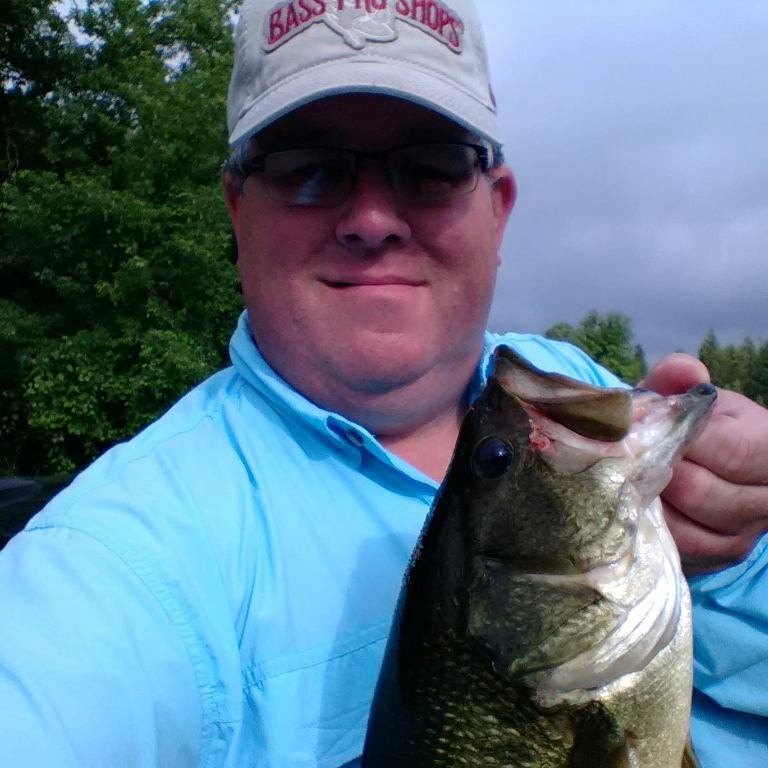 With fall coming, crankbaits and jerkbaits cast off of piers which have rocky bottoms and rock or weed flats nearby will put you onto fish. I usually start fishing about 30 minutes before sunset and continue into the night. For me, Rapala crankbaits and jerkbaits work well in the yellow perch, perch, black/silver patterns work well. I fish these on a 7'MF spinning outfit with 20lbs braid and a piece of 10lbs fluoro attached to prevent line damage in the event I come into contact with zebra mussels and rocks. 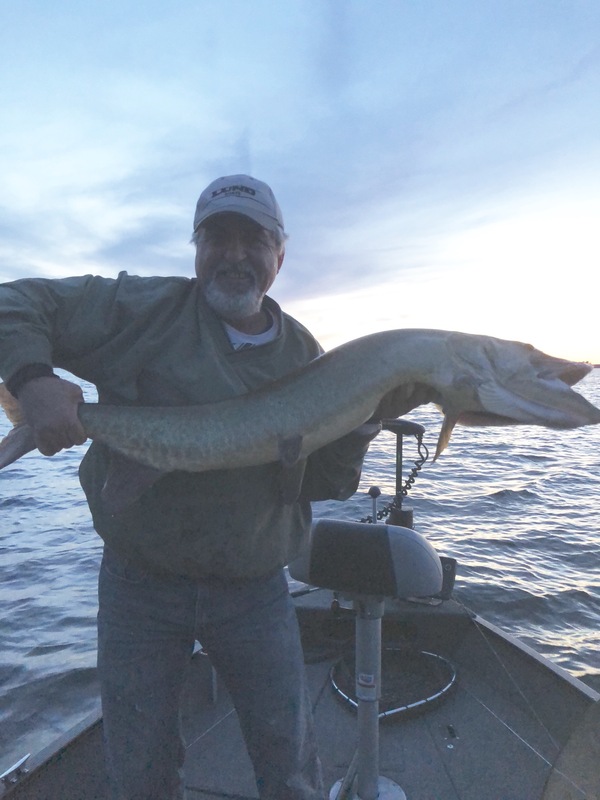 Last year starting at this time I was catching numbers of keepers along with some big smallmouth and average sized musky too. Below is pictured the average walter that I caught. If you have your electronics dialed in, a great way to fish is video game style. It’s a blast to jig for them and watch the action on your sonar. Those Powerbait minnows in the bubble packs are killer! I was having a hard time with wallies too. This year I started trolling with worm harnesses, over 15-20' of depth as others mentioned. I did two trips this fall and both produced fish. 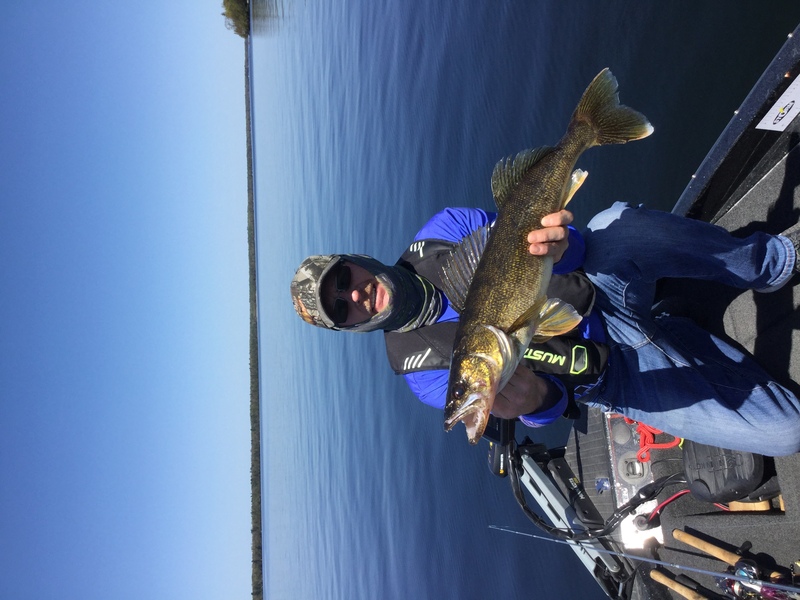 Some people say when you catch a walleye by trolling, stop and anchor and jig the same spot as other walleye tend to school-up around there. Have yet to try that, but currently I am trolling all day long to establish a map of productive spots, and some patterns seem to be emerging. It's a tough and boring job to troll all day but helps you build a knowledge of the waters you are fishing. And yes, your fishfinder is your best friend while trolling as you can determine what's down there and mark productive spots and revisit them later.